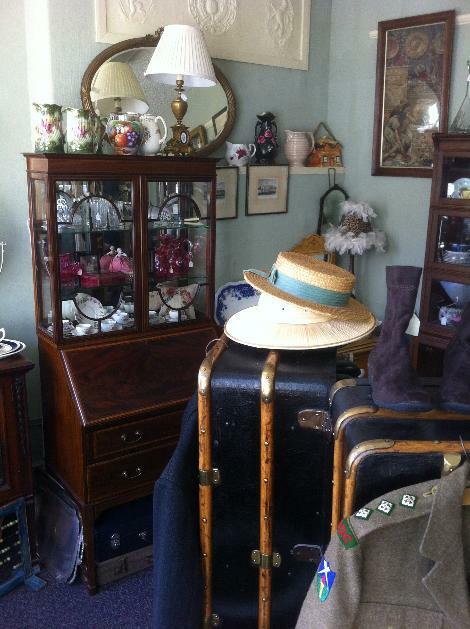 We have over forty dealers offering a wide range of fine and decorative antique items and collectables. 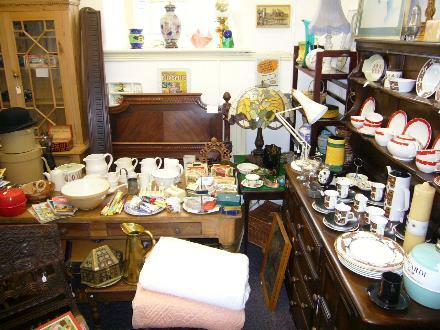 These include specialist furniture shops and over 30 cabinets of items including ceramics, silver, North East glass and pottery, kitchenalia, books and antique fishing items. Vintage and retro items, medals and militaria, Please scroll below for images and details of some of the wide range of items available. This distinct type of pottery was made by several potteries in Sunderland in the 19th century. Typical pieces have pink lustre and include religious plaques and jugs incorporating local scenes, Masonic devices, ships and love poems. 'Copper' and 'silver' lustre were also produced. For more, visit www.twmuseums.org.uk and www.matesoundthepump.com for some suberb photographs and information. 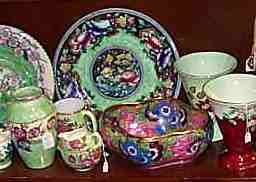 A Good selection of English porcelain Staffordshire, Spode, Worcester, Davenport and Minton. Pressed imitation cut glass produced by George Davidson & Co. of Gateshead from the late 19th to early 20th century. The factory made glass to look like porcelain (vitro-porcelain) usually in opaque white or blue. It also made a marbled glass often called 'slag glass' because of the impurities added. The 'pearline' range has a rim of opalescent glass and is usually pale blue or primrose. Maling pottery was produced, first in Sunderland and later in Newcastle upon Tyne, from 1762 to 1963. By the time the pottery closed in 1963, the pattern books showed that over 16,500 designs had been produced. For more on Maling, see the Maling Collector's Society website at www.maling-pottery.org.uk. 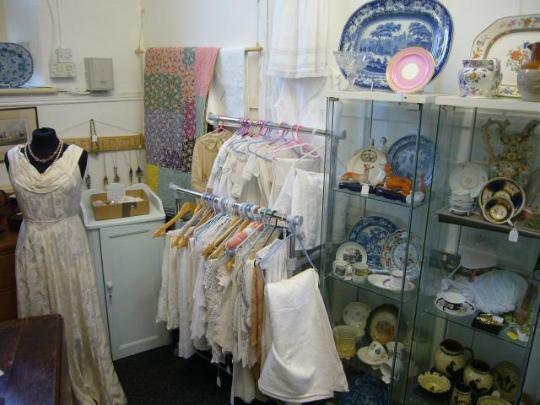 One of the rooms in our centre with a selection of decorative items, furniture etc. Beswick a good General selection always in the centre. 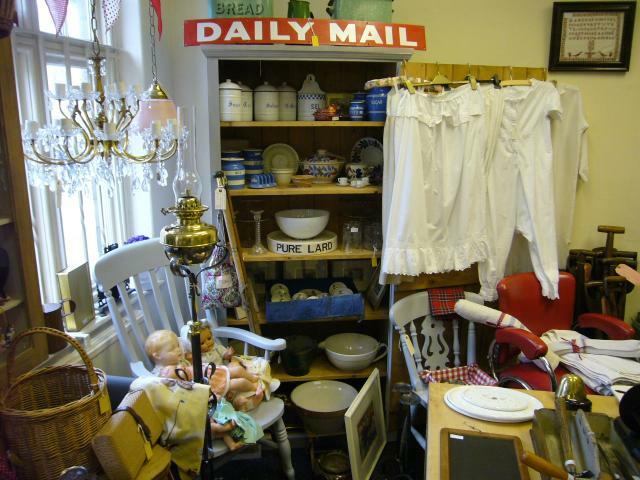 Unusual, antique and vintage kitchenware from egg cups to salt and pepper sets, cruets, trivets, storage jars, oven to tableware and serving dishes, drinking glasses, cutlery and picnic items. So whether you're looking for ceramics, glass, plastic or stainless steel kitchenalia we hope you'll find something here you'll like. Antique and vintage fishing tackle from reels to creels, fly boxes, priests and other related items for the enthusiast and collector. 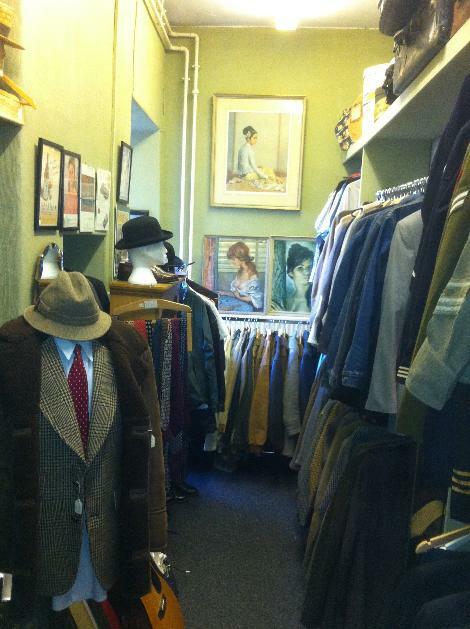 Vintage gentleman's outfitters, good range of tweed jackets, designer suits, vintage uniforms, Harris tweeds, sheep skin jackets, vintage hats, bowler hats, silk ties, brogue and leather shoes. 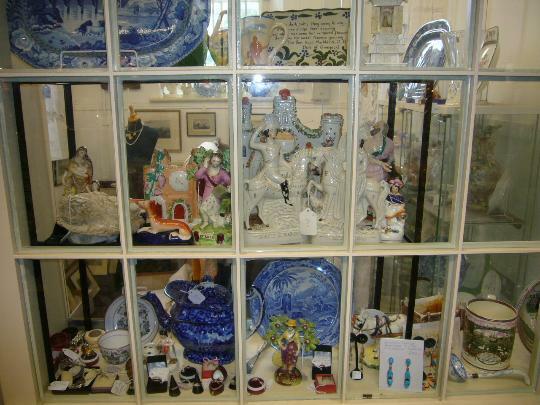 Specialist dealer in Belleek Irish porcelain. A selection of books including items related to the history of the local area as well as reference books for the antique collector and enthusiast. Tools and treen (small wooden items) are a growing area for collecting. Here you will find a selection of woodworking planes, measuring equipment, spirit levels and related material. Vintage and antique pottery and china, large traveling trunk, Victorian cranberry glass, interesting vintage items. 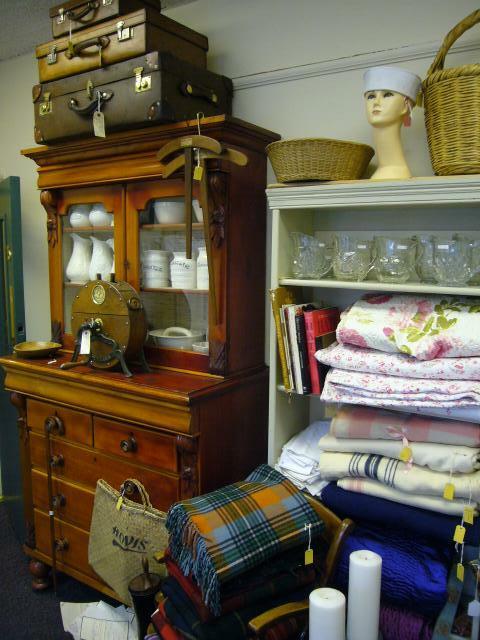 We have over 40 antique dealers selling all manner of antique and vintage items. Oak Bookcase,Small cabinet, cast iron fire dogs, glassware and pictures. Victorian sewing items, lace bobbins, silver thimbles, silver buttonhooks, sewing egg, glove stretchers, vintage sewing items, needlework accessories. 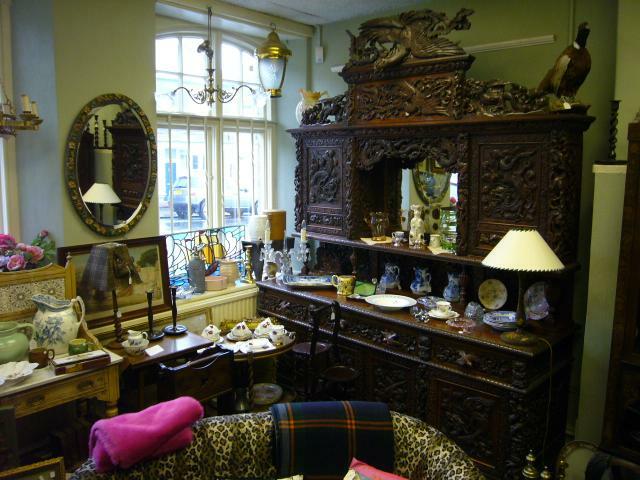 The Centre has furniture dealers specialising in English and Continental antiques as well as paintings and decorative items. Something for everyone from a few pounds in to the thousands. Antiques from the Georgian right up to modern day collector's items. 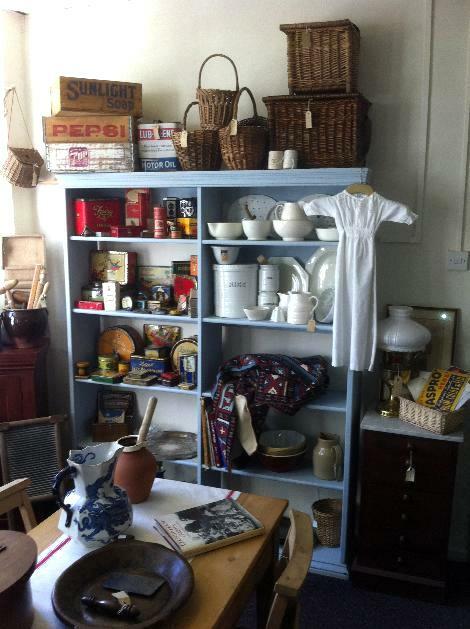 Kitchenalia Mary Fantastic quality and interesting items from the 1840s to 1950s Kitchenalia specialists. Good quality leather suitcases always in stock, old tools etc. 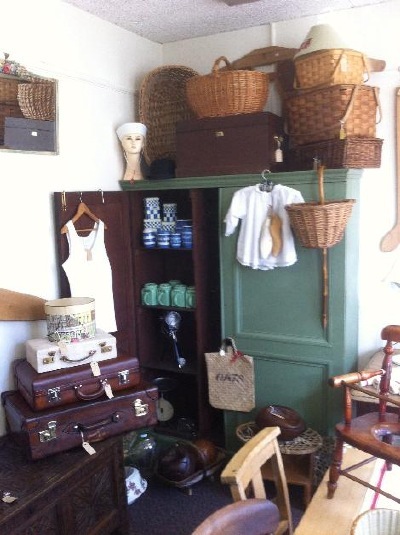 A selection of period furnishings and soft good, vintage baskets, quilts, painted pine shelves, leather suitcases, kitchen pine furniture, oak chests. Victoriana night dresses, christening gowns, quilts, staffordshire figures, pine furniture, samplers, jewelry, Victorian pottery, early ceramics. One of the many interesting cabinets at the mission hall. 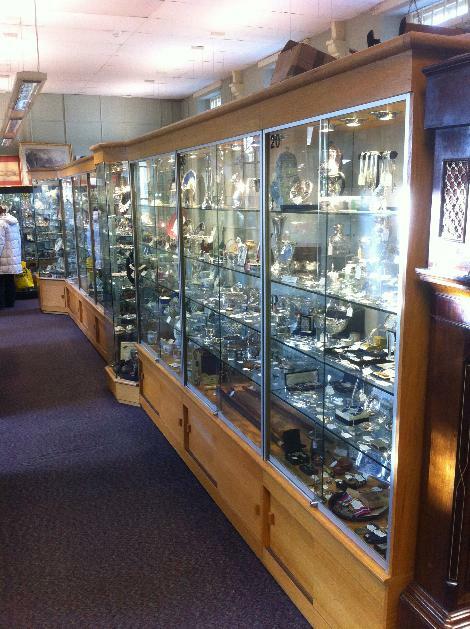 Silver perfumes, silver candlesticks, silver condiments, pincushions, silver match vesta's, jewelry boxes etc.